It was with delighted astonishment that the sun tried to break through the clouds for our walk today. It made us realise how many walks we have done this year with a blanket of white cloud above us. We parked at Seaford and looked around. Everything was doing its best to look bright and sunny today. Seaford today is not the town it was some 700 years ago. Back then, the River Ouse flowed through the town and into the sea, making Seaford a prosperous medieval port. It provided five ships and 80 men for the Cinque Ports Fleet in 1347. 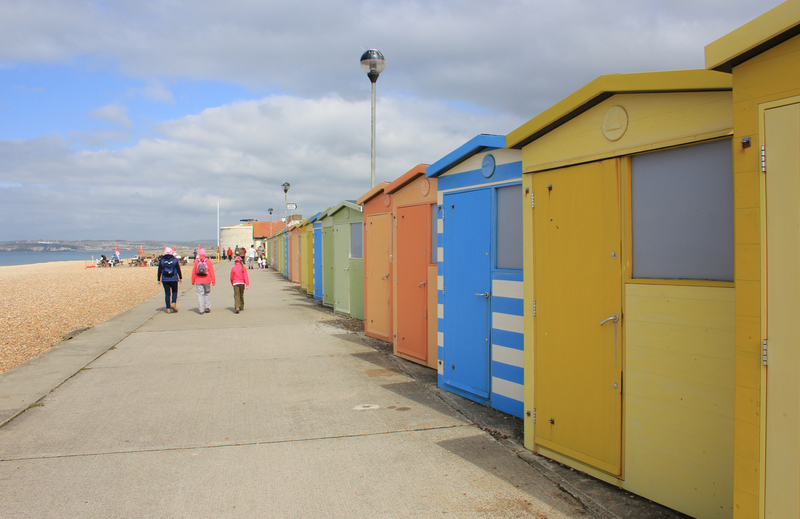 To walk through Seaford today, you would never guess its past. There is no port or harbour. Indeed, there is no River Ouse. The harbour silted up and the river decided to take a more direct route to the sea. A new harbour was developed a couple of miles west along the coast, at Newhaven. Newhaven literally means “newly built harbour”. We could see the harbour arms embracing the town in the distance. 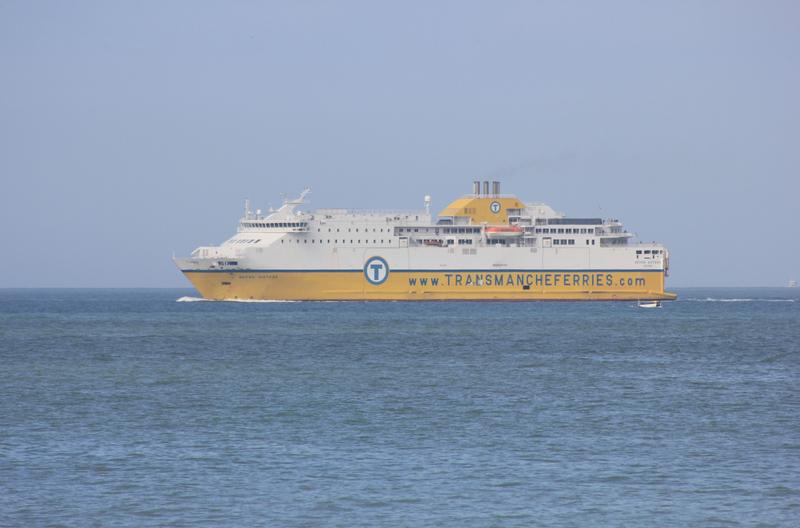 As we walked along the promenade, we saw the Seven Sisters ferry, backing out of Newhaven and then turning and heading off to Dieppe. Before we said goodbye to Seaford, we had to bid a fond farewell to something else. 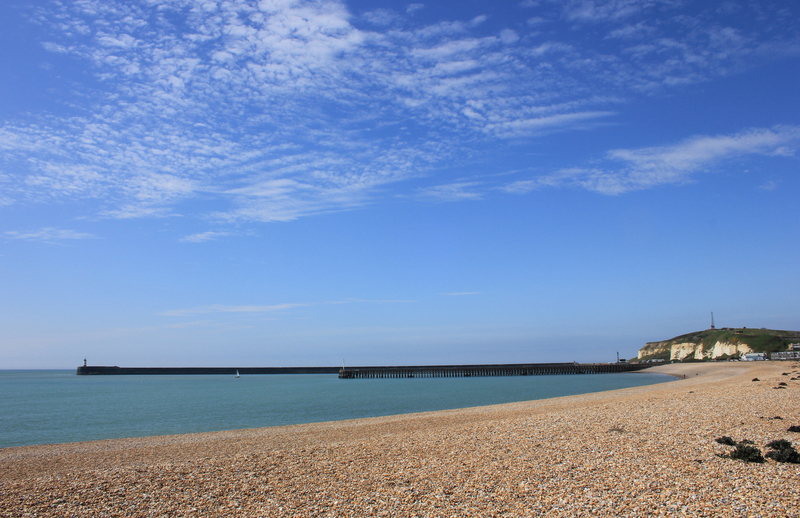 If you are walking the coastline from east to west, then Seaford is the site of the last Martello Tower you will see for many miles to come – for thousands of miles, in fact. Martello Tower #74 is an impressive structure. It is well maintained (unlike many others) and today serves as a museum. 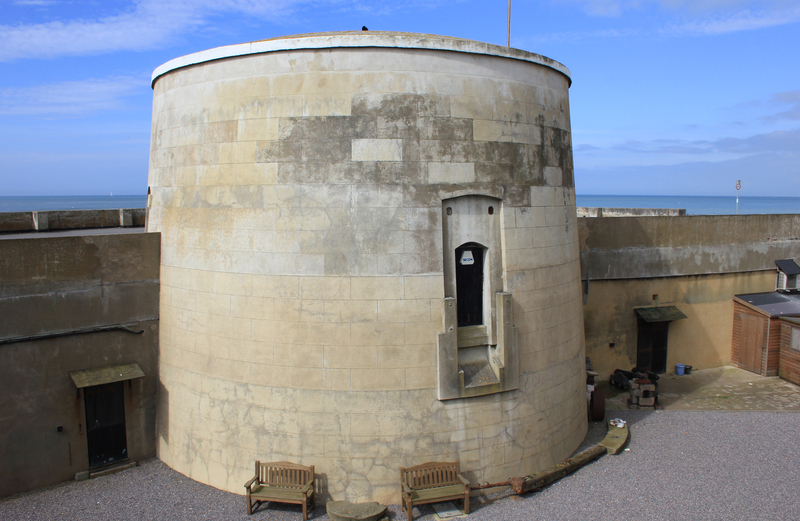 I will miss the Martello Towers, although part of me won’t miss writing about them. I have realised that I have a lazy fourth finger on my left hand, meaning I constantly type “MArtello” instead of “Martello”. It has been especially annoying when putting tags on photos. Many hours have been lost to editing the “a” of “Martello”. Goodbye Martello Towers! You have been our constant companions, lining our route for many miles, and we shall miss you. This entry was posted in East Sussex and tagged coast, East Sussex, ferry, Martello Tower, seaford, travel, walking. Bookmark the permalink. No Martello towers? What’s to live for?! Spitfires flying low over Brighton Marina, as I discovered last week!